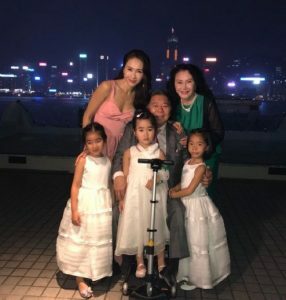 Gigi Lai’s Family Portrait Revealed! Some photos of Gigi Lai (黎姿) and her three young daughters have been shared online! The former Hong Kong actress, best known for her works at TVB, dropped out of showbiz in 2008 to succeed her brother’s cosmetic business. Gigi is married to businessman Patrick Ma (馬廷強), who she married in September 2008. Together, the couple have three daughters: twins Patricia and Gianna (born 2010) and Pegella (born 2012). Gigi has always been very careful with maintaining the privacy of her children, and has never shared direct pictures of her daughters online. However, earlier this month, Patrick’s older godsister Ye Ying (葉鶯) of Gigi’s shared several photos of Gigi with her daughters, lead to some hot discussions online. In the photos, Gigi and her family seem to be at an event. All three of her daughters wore white dresses, and Gigi herself was dressed in a pale pink gown. In Ye Ying’s post, she also shared that Gigi and Patrick secretly dated for eight years before tying the knot in 2008. 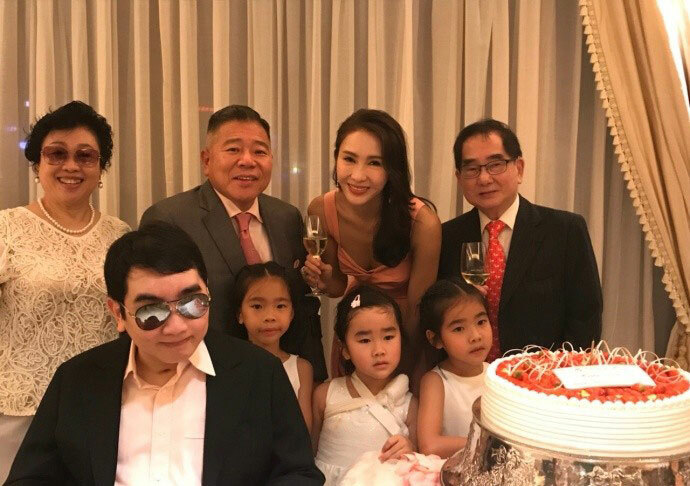 3 comments to Gigi Lai’s Family Portrait Revealed! Really love Gigi.. beautiful family! it’s hard to tell there are twins in the pics. usually even paternal twins are hard to tell apart when they’re young, but all 3 of Gigi’s kids are distinguishable from one another. makes for an easy job for their mom lol. good to see she is doing well!